Let's face it - the Google X division is the coolest/scariest thing ever. But let's not worry too much that the clever boffins working inside the search giant's top secret labs will eventually develop a clan of robots that will take over the earth. Let's instead focus on the cool world-saving tech they are knocking up. Like the health-tracking wristband that could be used in clinical trials and drug tests - as detailed to Bloomberg. Measuring things like pulse, hearth rhythm, skin temperature, light exposure and noise levels (like an Jawbone UP3 / Microsoft Band hybrid but not rubbish), the wearable will be a medical grade device, prescribed by practitioners rather than sold in Best Buy. "Our intended use is for this to become a medical device that's prescribed to patients or used for clinical trials," said Andy Conrad, head of the life sciences team at Google. "I envision a day, in 20 or 30 years, where physicians give it to all patients," he added. "Prevention means all the time." In the wearable world, there's a clear divide between medical and wellbeing devices, with organisations like the FDA having to approve anything that's deemed as an actual treatment method. "A general wellness product, for the purposes of this guidance, has (1) an intended use that relates to a maintaining or encouraging a general state of health or a healthy activity, or (2) an intended use claim that associates the role of healthy lifestyle with helping to reduce the risk or impact of certain chronic diseases or conditions and where it is well understood and accepted that healthy lifestyle choices may play an important role in health outcomes for the disease or condition." 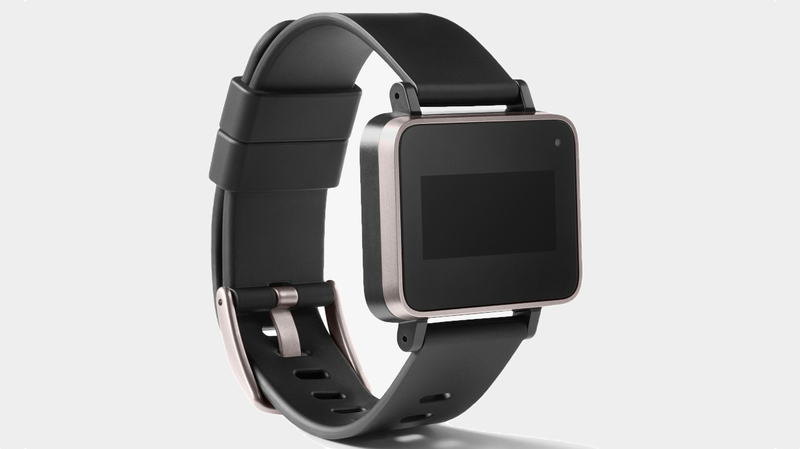 Google's new band is obviously intended to be a medical grade device and, as such, will require FDA approval. However, this is not a new thing for the X lab to deal with. Its incredibly futuristic, and potentially life-changing, smart contact lens was announced back in 2014 and the company stated it was "in discussions with the FDA". We can't wait to see what else it cooks up.